This giveaway comic book seeks to educate children and their parents about the poisonous nature of many items commonly found in the home. 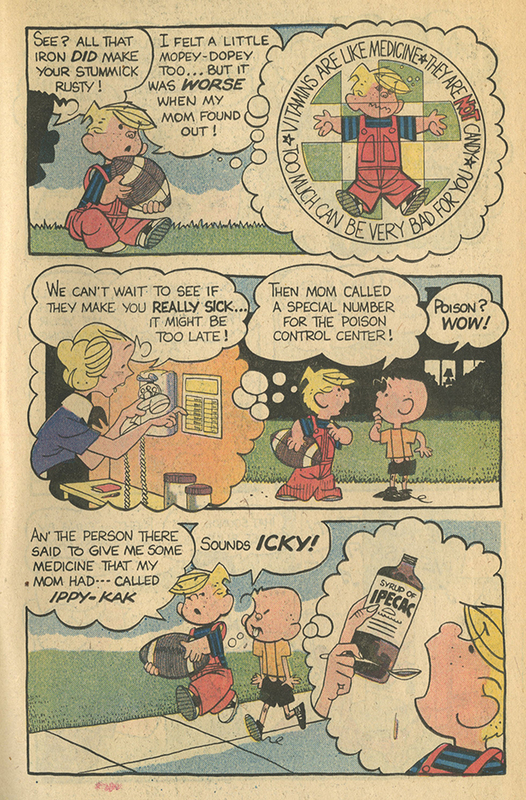 It urges parents to "Poison Proof Your Home." A publication created by the U.S. Department of Health and Human Services, Public Health Service, Food and Drug Administration. HHS Publication No. (FDA) 81-7005. "Most products are made to look attractive so people will buy them--even products that can be poisonous. But things made attractive for consumers are also attractive to children. 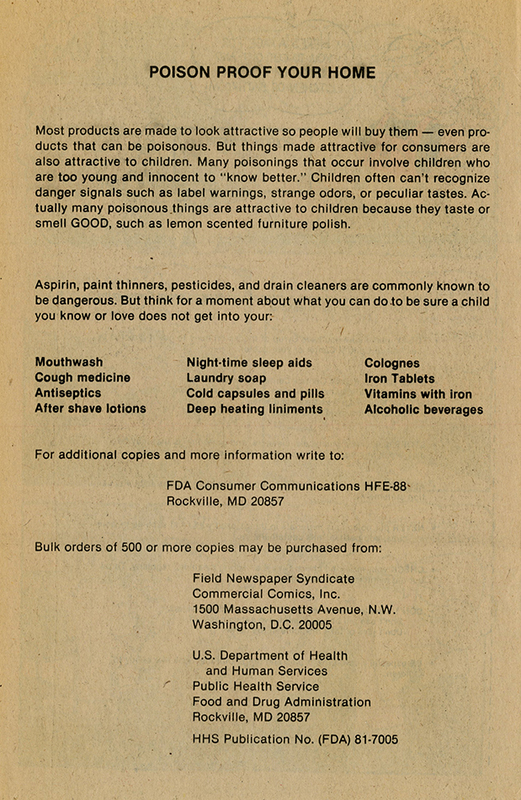 Many poisonings that occur involve children who are too youg and innocent to 'know better.' Children often can't recognize danger signals such as label warnings, strange odors, or peculiar tastes. Actually many poisonous things are attractive to children because the taste or smell GOOD, such as lemon scented furniture polish." 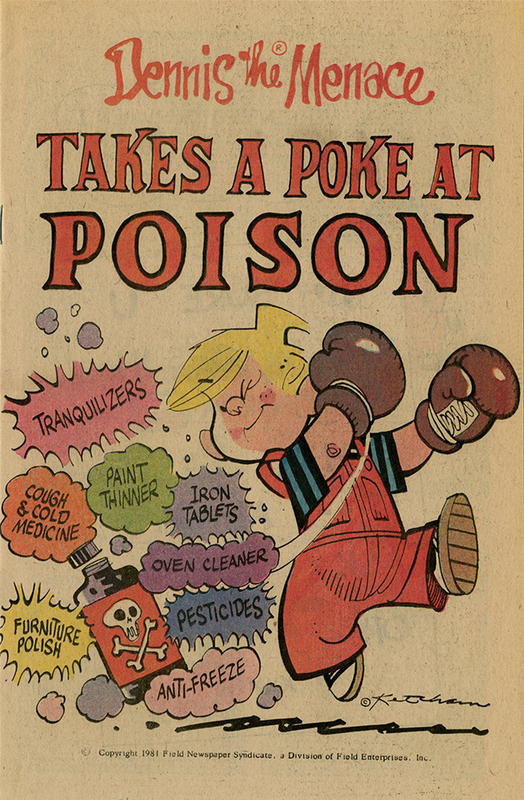 “Dennis the Menace Takes a Poke at Poison,” Social Welfare History Image Portal, accessed April 26, 2019, https://images.socialwelfare.library.vcu.edu/items/show/362.